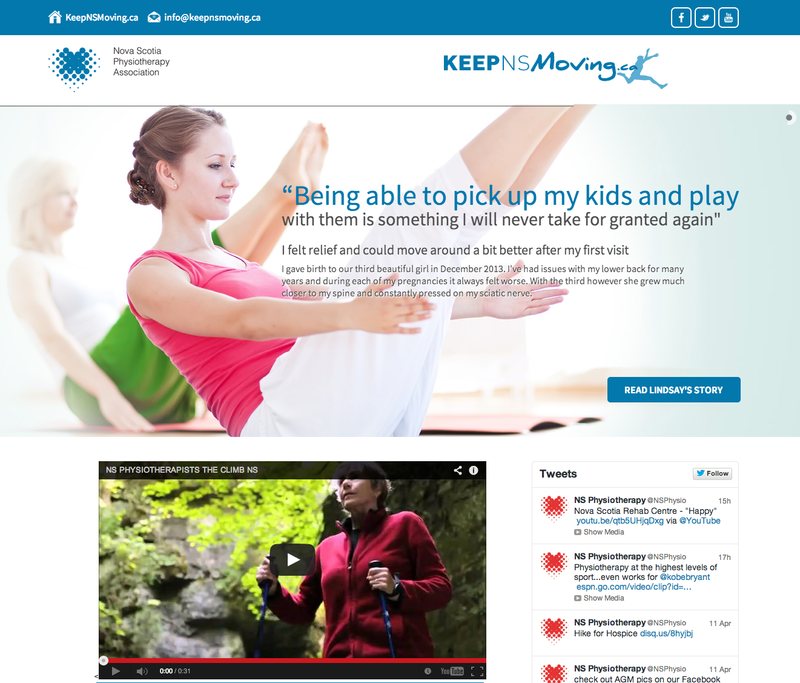 Keep NS Moving is a advertising campaign for the Nova Scotia Physiotherapy Association. This website showcases stories from a number of Nova Scotians and their lives have been impacted by physiotherapists. The site also has a dynamic may displaying all the physio clinics in Nova Scotia.